Groundbreaking work of cardiologist is still redefining medicine. Homer Warner, one of the grandfathers of biomedical informatics, retired from the University of Utah in 1996. 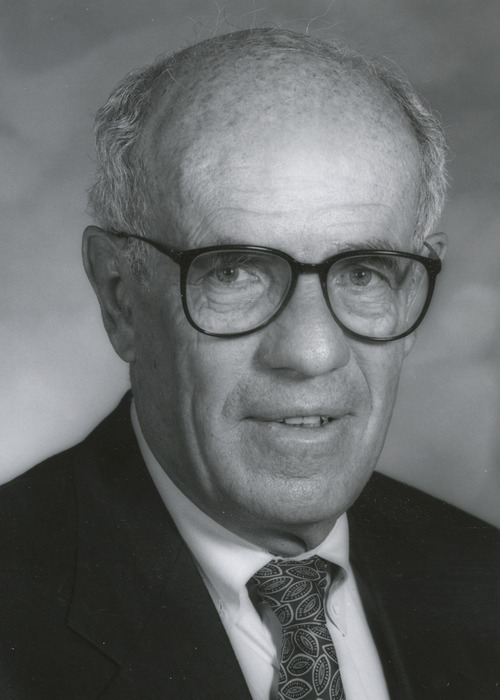 He died on Nov. 30 f Homer Warner, one of the grandfathers of biomedical informatics, retired from the University of Utah in 1996. He died on Nov. 30 f Homer Warner, one of the grandfathers of biomedical informatics, pictured with his first wife, Kay Warner, who died in 2006. 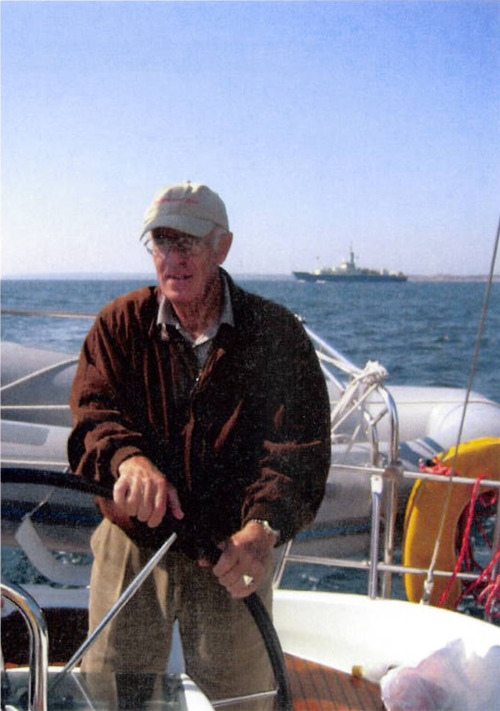 Court Homer Warner enjoyed outdoor exploits, including sailing. He taught his kids to navigate by the stars and sailed with the family o Homer Warner, a pioneer of computerized medicine, pictured before one the first analog computers. Courtesy Homer Warner, Jr.
Homer Warner, one of the grandfathers of biomedical informatics, retired from the University of Utah in 1996. He died on Nov. 30 from complications of pancreatitis at the age of 90. Courtesy University of Utah Department of Public Affairs Homer Warner, one of the grandfathers of biomedical informatics, retired from the University of Utah in 1996. He died on Nov. 30 from complications of pancreatitis at the age of 90. 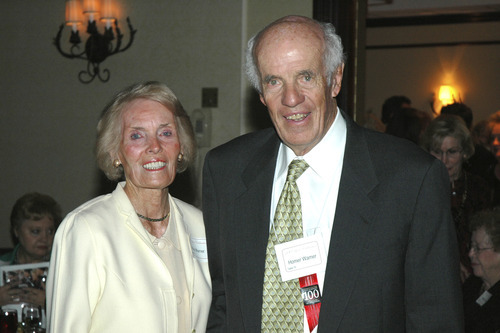 Courtesy University of Utah Department of Public Affairs Homer Warner, one of the grandfathers of biomedical informatics, pictured with his first wife, Kay Warner, who died in 2006. Courtesy University of Utah Department of Public Affairs Homer Warner enjoyed outdoor exploits, including sailing. He taught his kids to navigate by the stars and sailed with the family on a 40-foot boat from Victoria, B.C. to Maui, HI. Courtesy Homer Warner, Jr. Homer Warner, a pioneer of computerized medicine, pictured before one the first analog computers. 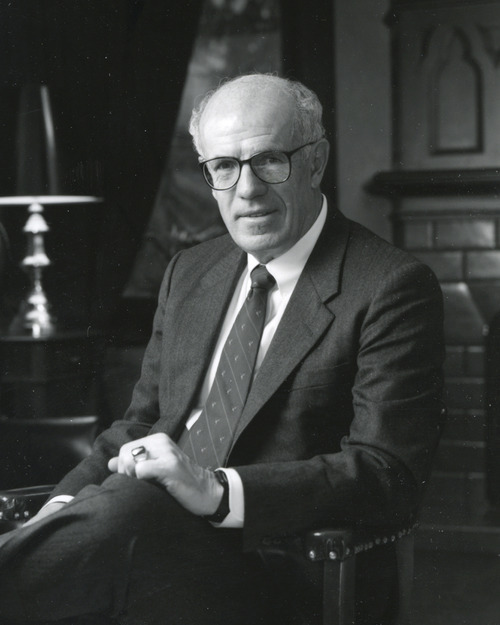 Courtesy Homer Warner, Jr.
Homer Warner, a Utah cardiologist widely recognized as the father of medical informatics, died last week from complications of pancreatitis. He was 90. Warner&apos;s research is still redefining medicine, colleagues say. Modern intensive care units can be traced back to the electronic systems he built to monitor heart patients in the mid-1950s. And his creation of one of the first electronic medical records in the &apos;70s set the stage for a new academic field and multi-billion dollar health IT industry. He had the mind of an intellectual and the soul of an adventurer, captivating University of Utah medical students in a speech just weeks before he died, said his son Homer Warner Jr. "He just had a quiet magnetism about him." Warner checked into a hospital complaining of stomach pain before Thanksgiving, said his son. He died Nov. 30, about a week later, surrounded by friends and family. A graduate of East High School, Warner earned his medical degree at the University of Utah in 1949 and then earned a doctorate in physiology from the University of Minnesota. While training in Minnesota, he worked at the Mayo Clinic with cardiologist Earl Wood, who spurred his interest in medical research. He returned to Utah, where he opened a Cardiovascular Laboratory at LDS Hospital and studied waveforms as a potential path to diagnosing heart patients. "His real genius was probably in that early work," said Homer Warner Jr. While taking an engineering math course to further his work in 1956, he once stayed up all night to analyze one heart beat using a 3-foot slide ruler. "I got so excited because it was such an interesting way to look at things," Warner told Peta Owens-Liston, a freelance writer for the U.&apos;s alumni magazine, in 2010. "This was a turning point for me, since it led me to the whole concept of using computers in medicine." 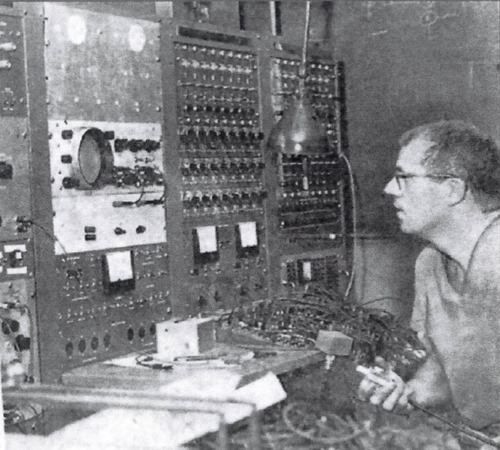 After the U. bought its first digital computer in 1960, Warner worked with graduate students to develop a tool to effectively diagnose congenital heart disease – but doctors were skeptical, he told Owens-Liston. Two years later he became the chairman of what is now considered the first program to grant degrees in medical informatics. Then called the Department of Biophysics and Bioengineering, it was located in the U.&apos;s engineering school. In 1968, Warner wrote his first version of a software program to evaluate patient data to guide physicians. He had been inspired by seeing an Intensive Care Unit nurse overwhelmed by information from sensors. "The venous pressure was rising, the arterial pressure was going down, and the cardiac output was dropping, and she didn&apos;t know what to do," Warner told Owens-Liston. As the HELP program, for "Health Evaluation through Logical Processing," was further developed, it expanded to include information about drugs, lab tests, pulmonary function testing, patients&apos; medical history and more. It is now considered one of the nation&apos;s first electronic medical records – and is still operational 40 years later at Intermountain Healthcare hospitals. "We clearly had a jewel. He gave us a huge advantage," said Intermountain&apos;s Chief Information Officer Marc Probst. Getting doctors to use computers is still challenging, but Warner chipped away at their resistance by providing them with not just data, but information with the power to improve care, he said. In a 2011 announcement of the opening of the Homer Warner Center for Informatics Research at Intermountain Medical Center, the hospital chain&apos;s chief quality officer, Brent James said, "Dr. Warner identified the field and then defined that field...It&apos;s hard to describe that contribution, not just to Intermountain, not just to the medical profession, but to the patients that we serve." Warner&apos;s lab was moved to the U. in 1980 where he continued his research until retiring in 1996. He outlived two of his wives, Katherine Ann Romney and Jeanne Okland, marrying a third, June Okland Cockrell, who survives him. More than an innovator, he was a hands-on teacher whose natural curiosity was contagious, said his son, Stephen Warner, the U.&apos;s associate vice president of Health Sciences Development and Alumni Relations. In his youth he worked at a lumber camp, on a railroad and a farm. He dug graves and loaded trucks, Stephen Warner said. "He just wanted to know about life and would go the extra mile to master something new." He taught his kids to ski, box, play tennis and to sail and navigate by the stars. "One year we all sailed from Victoria B.C. to Maui. That was such an adventure to be out on the ocean for three weeks on our 40-foot sail boat," Stephen Warner said. The father of six "was home almost every night for dinner even though it meant returning to the hospital to work late into the night. As kids we didn&apos;t know about his professional greatness. He was just our dad." A public service will be held at noon on Thursday, Dec. 6, at the Foothill Stake Center, 1933 S. 2100 East in Salt Lake City. In lieu of flowers, the family suggests donations to the Homer R. Warner Scholarship Fund in Medical Informatics at the University of Utah. Online condolences may be left at http://www.larkincares.com.